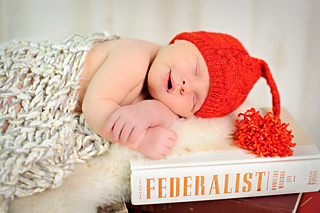 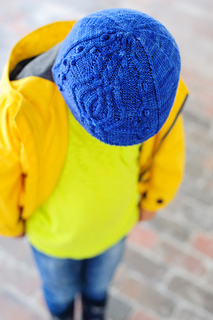 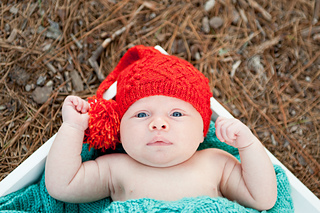 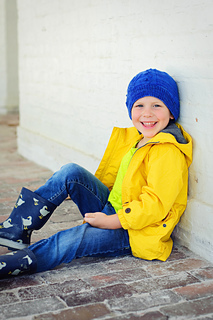 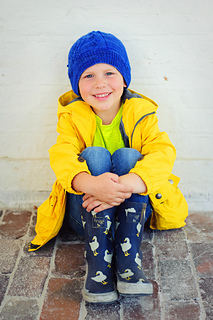 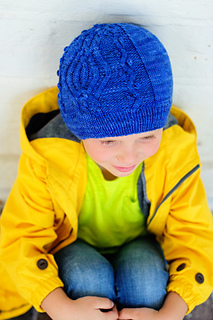 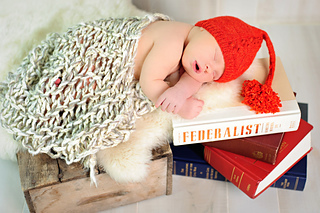 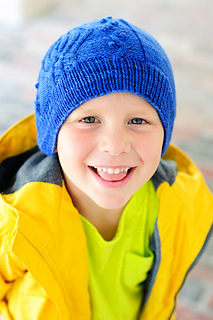 This cabled hat for babies & children can be worked either as a stocking cap or a beanie. 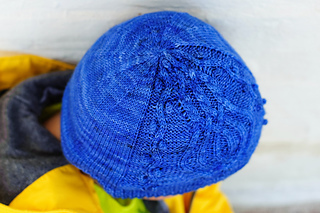 Its’ worked bottom up with a ribbed brim, the original cable panel is set on a reverse stockinette background. 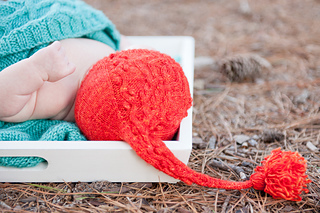 Stocking shown in Newborn on 5 day old baby Oliver, and Child Beanie on big brother Jesse.